TORONTO BlackBerry (BBRY) said Friday that it is committed to completing a series of major changes quickly after posting a nearly billion-dollar loss and a 45 percent drop in revenue for the second quarter. The troubled smartphone company reported a loss of $965 million and revenue of $1.6 billion, in line with what it warned when it surprised the market by releasing dismal earnings projections last week and announcing 4,500 layoffs. The company subsequently announced Monday that Fairfax Financial Holdings Ltd., BlackBerry's largest shareholder, is making a tentative $4.7 billion offer to buy the company and is trying to attract over investors. 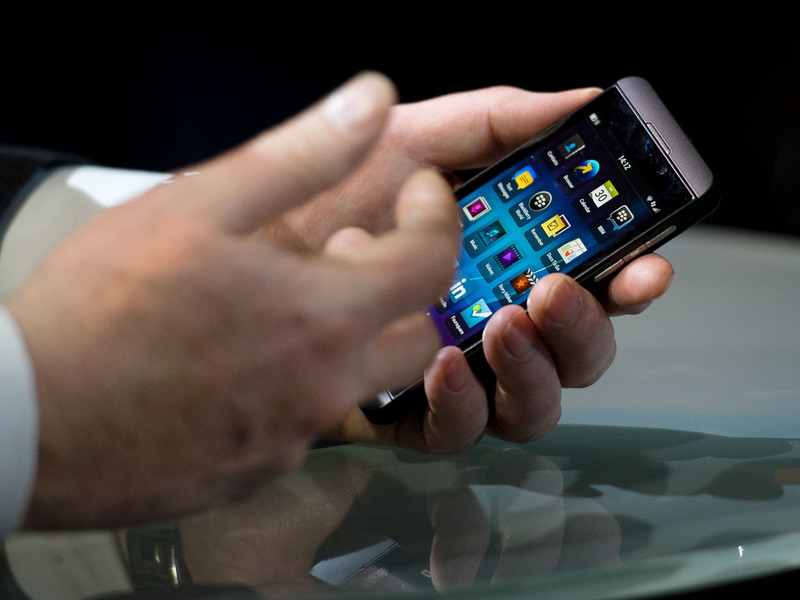 BlackBerry cancelled its conference call with analysts Friday in light of that overture. The adjusted loss was $248 million, or 47 cents per share, this quarter. Analysts surveyed by FactSet had expected an adjusted loss of 16 cents per share. "We are very disappointed with our operational and financial results this quarter and have announced a series of major changes to address the competitive hardware environment and our cost structure," Thorsten Heins, the chief executive officer, said in a statement. "We understand how some of the activities we are going through create uncertainty, but we remain a financially strong company with $2.6-billion in cash and no debt. We are focused on our targeted markets, and are committed to completing our transition quickly in order to establish a more focused and efficient company." The head of Fairfax Financial Holdings, Prem Watsa, told The Associated Press this week he has every intention of completing the acquisition of BlackBerry, despite doubts that the $4.7 billion deal for the troubled smartphone maker will go through. BlackBerry announced earlier this week that Fairfax signed a letter of intent that "contemplates" buying BlackBerry for $9 a share. The deal is subject to six weeks of due diligence. There is no breakup fee should Fairfax walk away Watsa said Fairfax won't be contributing more to the bid than the 10 percent it already owns. BlackBerry shares rose 13 cents to $8.08 per share in the premarket Friday, up half a percent. That's a dollar below Fairfax's bid on fears the deal won't happen.